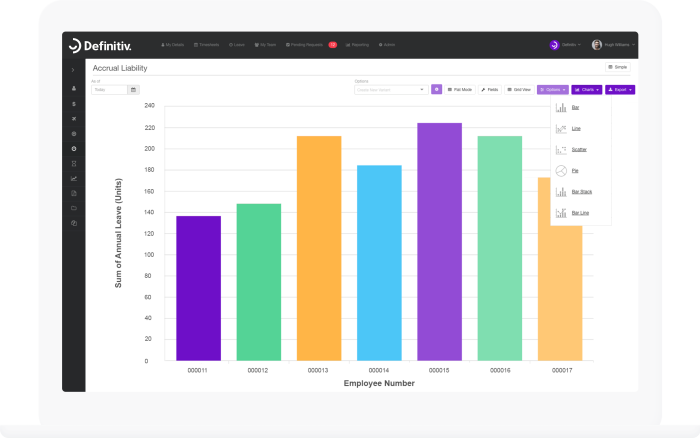 With real-time workforce insights available to you on demand, Definitiv gives you the power to make strategic decisions to improve organisational culture, performance and productivity. Forget about wasting time filtering data in Excel, sorting through fixed reports or following an outdated reporting wizard. 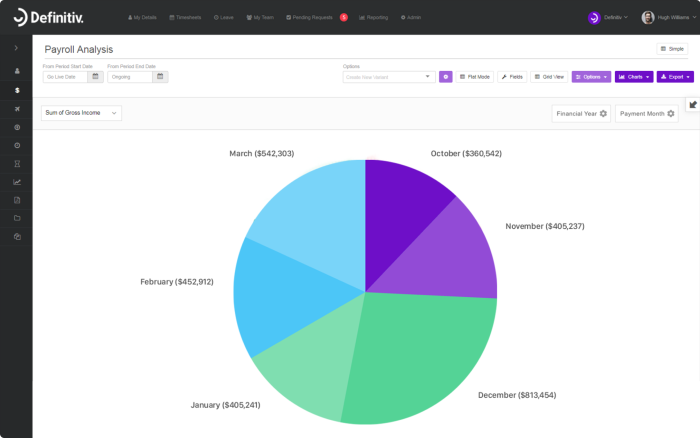 With real-time data available at hand, you can generate detailed reports instantly in Definitiv. Definitiv enables you take advantage of current opportunities in your workforce or address adverse situations as they arise. With access to live and accurate data, you can make decisions that are relevant and appropriate. Create and save your own reports without any restrictions or limitations. Filter fields, set date parameters and select output style, allowing you to review the data you need, in the way that you want. Export or print reports from Definitiv instantaneously. With a number of chart and pivot table layouts available, our reports are presentation ready for management. In Definitiv, you can report on any data within the software, even custom fields. From employee demographics to job costing, TimeClock variances and provisions, Definitiv can provide you with timely insights across all areas of your business.